We are looking for a full stack software engineer to help us reinvent the way we train, evaluate, and hire software engineers. Our mission is to develop the most accurate and useful assessment of software engineers. We're doing this by creating a widely-accepted, comprehensive standardized exam called the CSPA. If we succeed, we will improve the average quality of software engineers, increase the supply of great software engineers -- especially from non-traditional backgrounds, and vastly improve the technical interviewing process. You strive for engineering excellence and are dedicated to writing code that is clean, well-maintained, easy to understand, robust, and performant. You also thrive in a fast-paced environment. You understanding the demands of the business, self-prioritizing and making deliberate tradeoffs if necessary -- pushing out new features, pruning unused ones, and improving existing features. If you join us, you'll be a part of a lasting, positive change on our software industry, and see how we do it from the inside. Also, you should be generally familiar with data science and statistical models -- enough to implement them. 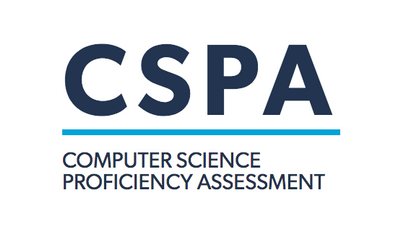 CSPA Composite Score of 1200 or higher is preferred. We're dogfooding. You'll work closely with James, previously co-founder and CPO of Crunchyroll. He spends about half his time coding, and half on strategy and business development. You will have unparalleled influence on the direction of the company. You'll participate in discussions around tech, product, marketing, and more (if you want). You have the opportunity to touch all parts of the system, from app development (front and back end) to infrastructure/reliability, to deployment and testing. You'll even dabble in data science and machine learning. We also build some custom libraries. For example, built a dependency injection / inversion of control container system inspired by Symfony, as well as a much better routing system on top of Express. We couldn't find a good one for Node.